With Valentine’s Day approaching there are so many activities you can create! such as eggs, stars, circles, etc. 1. Puzzle – Do you have two Valentine’s Day cards left over? Why not create a puzzle? Glue or tape one card onto the front of an envelope. 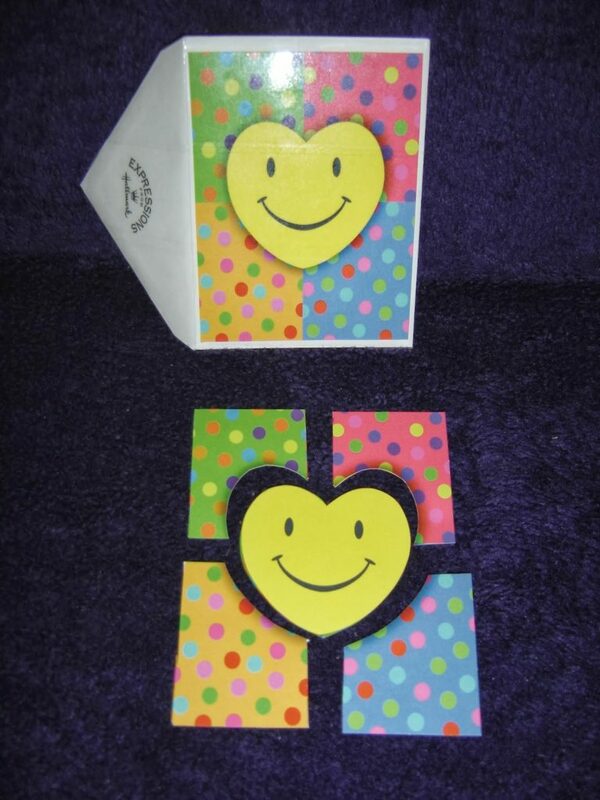 Cut the second card into pieces (less pieces for a younger child, more pieces for an older child). Store cut pieces inside the envelope and remember to write on the envelope back how many pieces are in your puzzle. 2. Draw a thick dark line shape of your puzzle outline with a marker or crayon onto a plain piece of paper. Card stock or cardboard works best. 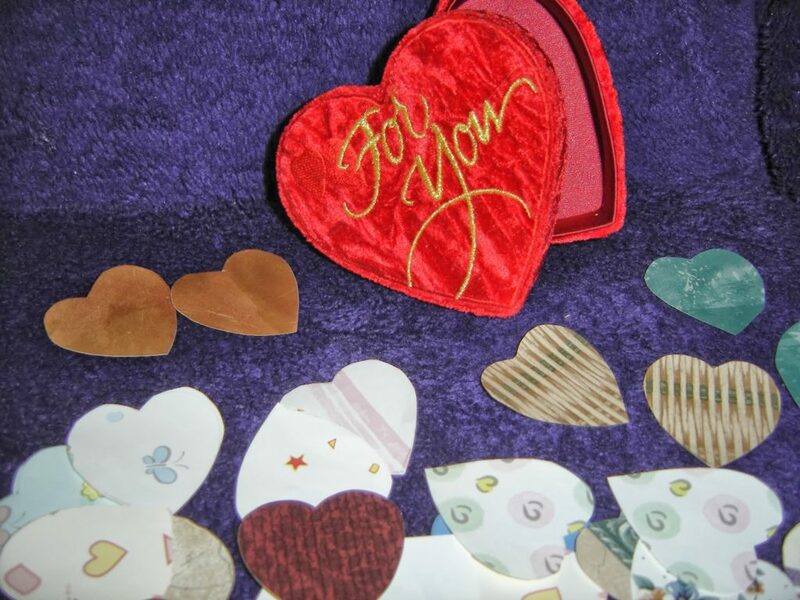 Cut apart your shape and store the pieces in an envelope or plastic bag. Make sure you write down how many pieces are in your puzzle somewhere on the outline piece . Remember, younger children need less pieces and older children enjoy more pieces. 3. 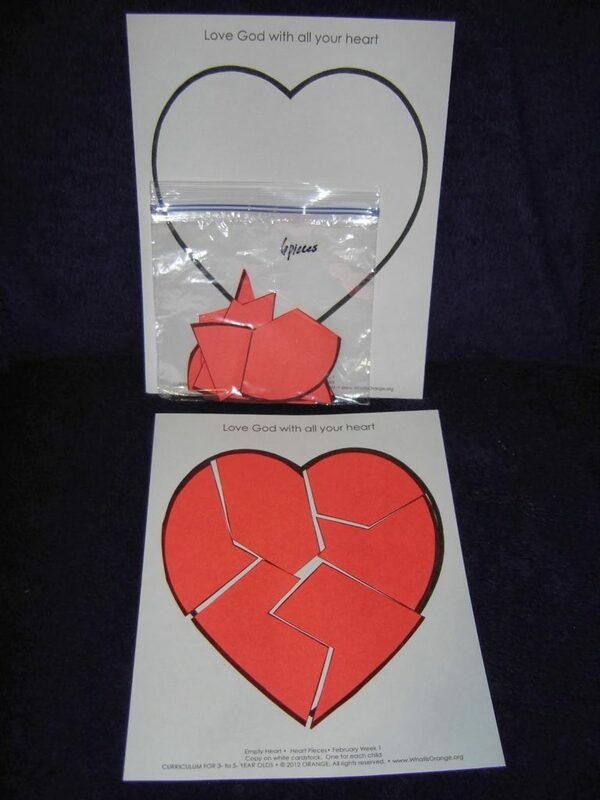 Cut out any number of heart shapes. Cut those shapes in half with different patterns. 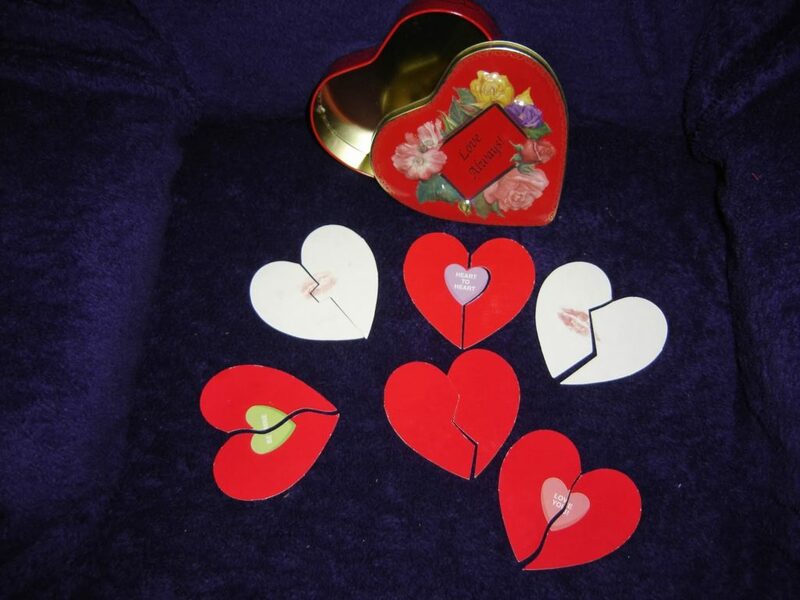 Put together the broken hearts. (This is great for egg shapes too.) 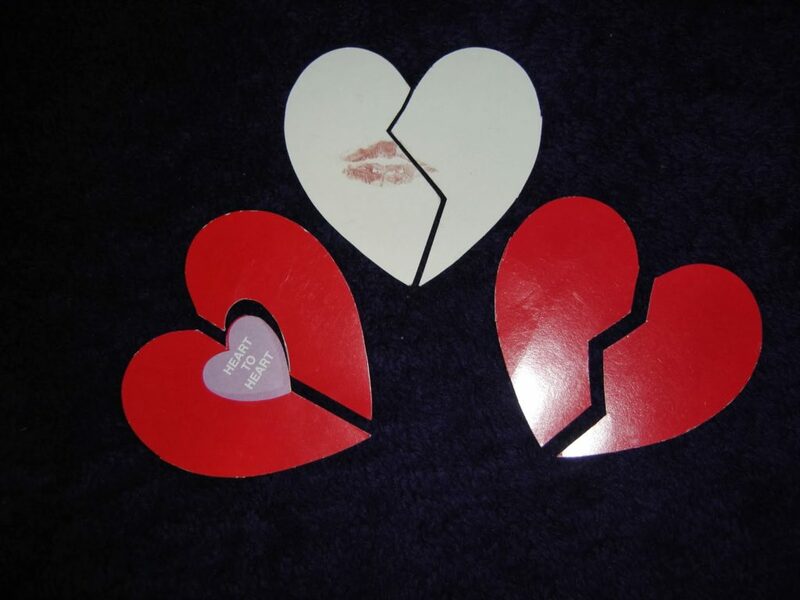 Stickers and/or a kiss can be added to the different sides of the hearts to assist in putting the puzzles together. Find an appealing container to hold your broken hearts. Empty candy boxes make great storage containers for heart games! 4. Using wall paper samples, construction paper, wrapping paper or fabric, cut out two of each pattern or design. Cookie cutters are great help to draw your shape. This can be a lotto game where every shape is upside down and the players take turns trying to find pairs. Younger children are challenged with just finding the two that match. To pair children into partners: Randomly pass out hearts and ask children to find the person who has the heart that matches theirs. Or, take one set and hide them in the room. Pass the other set out to the children and have them go on a scavenger hunt to find their match.